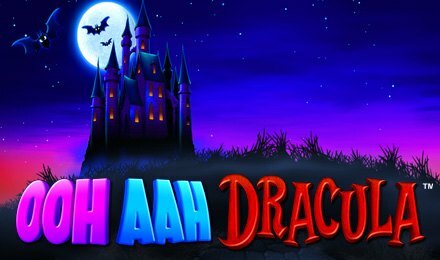 Play the ghoulish Ooh Aah Dracula slots for an extra spooky slots experience! Play the exciting Graveyard Bonus, Super Graveyard Bonus, and Heart Attack Bonus for Big WINS! Head into the Transylvanian night when you play Ooh Ahh Dracula slots. This eerie slot game has a Dracula theme with visuals and sound effects that add to the spookiness! Play in the exciting High Roller mode for chances to win 150x your stake! The heart Scatter symbol is a very valuable symbol as it will get you your FREE Spins! Depending on how many Scatters appear, you can get up to 30 FREE Spins with a Wild selected at random for gigantic wins! In addition to FREE spins there are also exciting bonus features including the Graveyard Bonus, Super Graveyard Bonus and Heart Attack Bonus.